Used Adams A8 large bore Bb trumpet with double shepherds crooks and threaded integrated mouthpiece in satin lacquer. 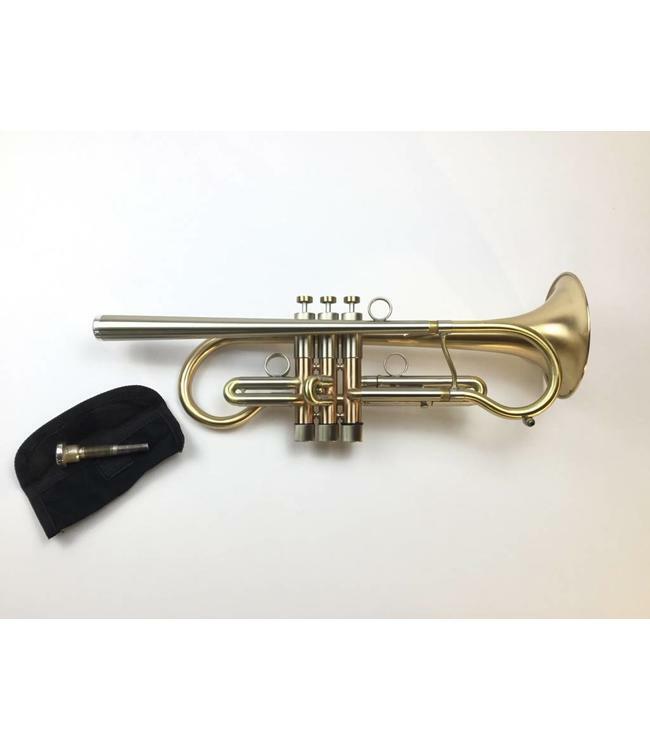 This trumpet is in very good condition with minor wear throughout. Included are two threaded integrated mouthpieces that thread into a threaded leadpipe receiver (Austin Custom Brass 3C and unmarked shallow cup mouthpiece). Comes with original Adams gig bag.